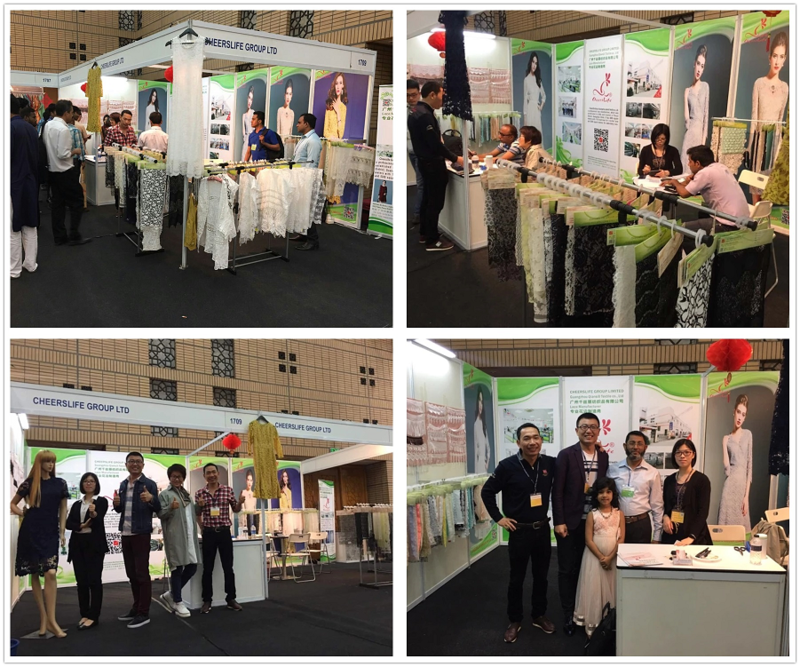 Cheerslife Group -Guangzhou qiansili textile co.,Ltd, a professional lace manufacturer, which was established in 2004 and located in Panyu District, Guangzhou China. 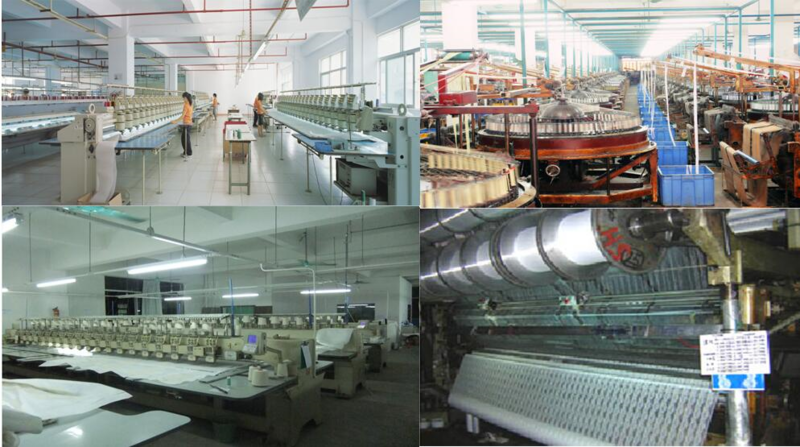 It has 4000 square meters with 110 machines for crochet lace and 5300 square meters for embroidery lace. 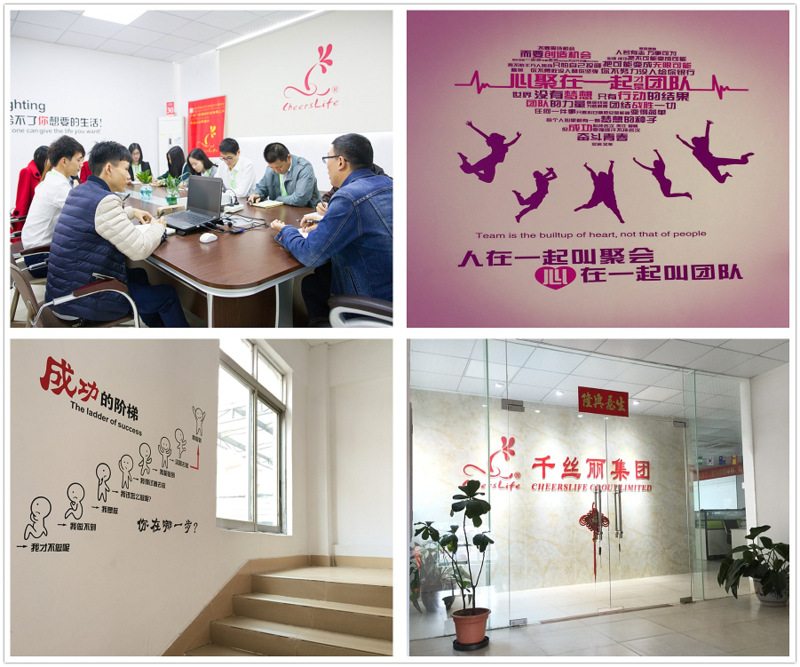 “QianSiLi”, ”Cheerslife” are two brands of company. 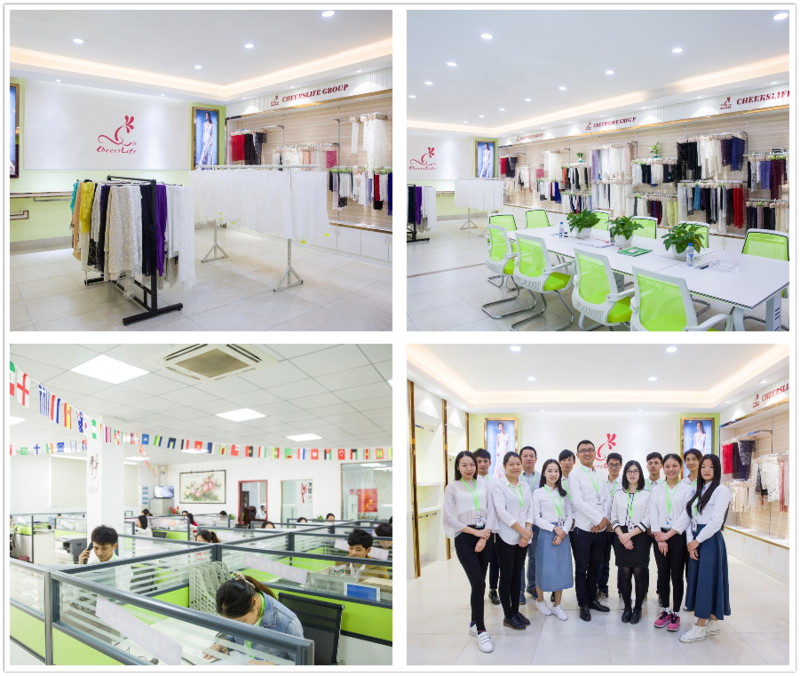 Cheerslife Group has outlet center in ZhongDa, which devotes to fashionable and competitive products, specialize in lace, water soluble, embroidery, collar etc. and highly praised by abroad as well as domestic. 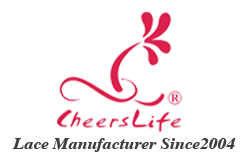 Cheerslife Group products are the first choice for dress, garment, underwear, swimsuit, lingerie and shoes etc. Our products are fashionable, unique, varieties with designer’s advanced concept, which meet different customers requirement. Cheerslife Group relies on forward-thinking and innovation by resources, technologies, organizations, managements. 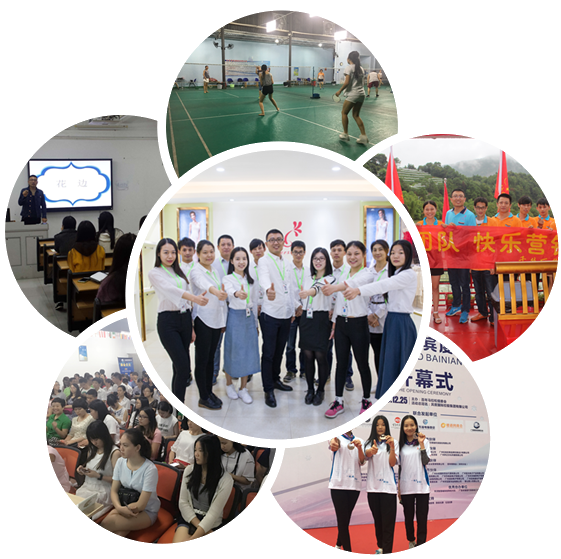 As a training base of “The National Project 211” Jiangnan University Institute of textile and apparel and GuangDong Women’s college, Cheerslife Group makes great contribution to training talents for society. Cheerslife Group will continue adhering to the policy of “Quality First, Service First and Favorable Price, Win-Win mode, Joint Development,” and the management aim of “building brand, high-quality and high-efficient ” to get a better and brighter future each other. Cheerslife to be an enterprise with remarkable brand, satisfied customers, excellent people, as well as the core competence and the ability to operate international business. To be a stage to make your dream come true. Bloom optimistically with diligence and kindness, group up and co-operation and create brilliant. We are a professional lace manufacturer, which specialize in this field since 2004, has won a good reputation in foreign market, such as Wal-Mart in US, Carrefour in French. If you are looking for lace supplier, I believe that we will be the best choice, best partner for you. 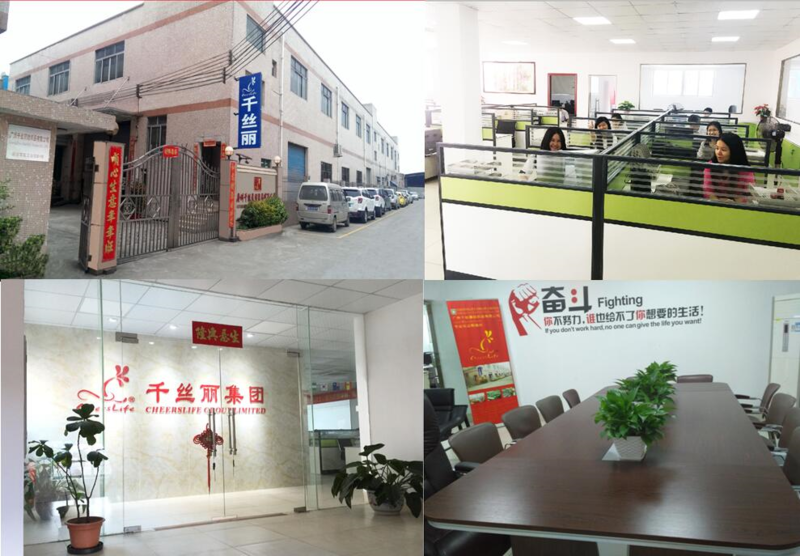 Cheerslife always respect the concept that customer priority, quality first, continuously improve its service system, and set up much more strict system for the quality control. And this got the good reputation from the famous fashion brand like Walt mart, H&M. Thank you and welcome to inquiry.